Twiga Bancorp Limited inaugurated a new Twiga Bancorp branch on 28 December 2012 in Dodoma, the political capital of Tanzania. The Dar es Salaam-headquartered bank is fully complying with its expansion plans. The plan started in 2011 to open at least one regional branch every year by exploring the large and ready-made markets among small and medium enterprises (SMEs). Formerly known as National Bureau de Change Ltd, the financial institution was established in 1992. 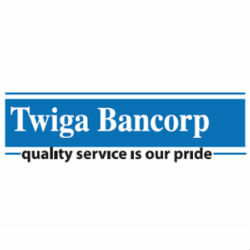 In January 2005, it changed its name to Twiga Bancorp Limited. The bank is currently fully owned by the government. The inauguration ceremony was attended by Minister of Finance, Mr William Mgimwa. Along with the traditional banking products like credit facilities, receiving customer deposits and money transfer transactions, the new Twiga Bancorp Dodoma branch will also support and facilitate operations of Village Community Banking (VICOBA) to widen access to financial services. Started with the aim of empowering communities with proper skills and adequate capital, VICOBA is a banking system utilized, monitored and managed by a small community such as a village. A VICOBA group is formed by individuals not less than 30 staying in a particular locality. The membership is free and organized by the members themselves. Twiga Bancorp assists formation of VICOBA groups under Umoja Youth Aids Control and Community Development (UYACODE) NGO.